The Frigidaire FFFH17F2QW upright freezer retains its top spot in this year's report, while the GE FCM11PHWW nabs the top spot among chest freezers. We round out our update with a high-end freezer for those who want all the bells and whistles, plus several new alternatives for shoppers on a budget. Specs that Matter Capacity: 16.6 cu. ft. Est. energy use: 436 kWh/yr. Size (w,d,h) - 34" x 32.25" x 67.7"
The 16.6-cubic-foot Frigidaire FFFH17F2QW upright freezer does its job extremely well, drawing top scores for temperature control and energy efficiency. 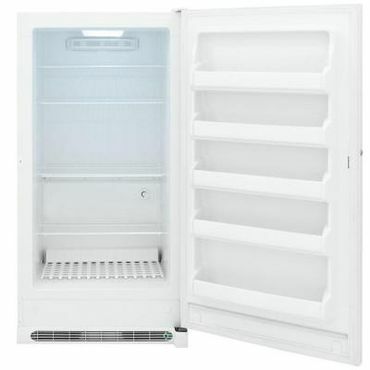 Users are impressed by how tightly the door seals, and say this model's upright design and adjustable shelves help you quickly find whatever you're looking for, despite the freezer's generous size. The frost-free operation, a bright interior LED light, and a lock that automatically pops the key out (so you can't accidentally leave it in the lock) are all favorite features. Specs that Matter Capacity: 13.8 cu. ft. Est. energy use: 436 kWh/yr Size (w,d,h) - 29.65" x 30.5" x 61.5"
The 13.8-cubic-foot Frigidaire FFFU14F2QW compact upright freezer fits through most doorways easily, although it's loud enough that users prefer to keep it in the garage or basement. It more than makes up for the noise with its solid, reliable performance, and still provides enough space to freeze half a cow and half a pig, or stockpile bulk sale purchases. Features include a lock that automatically ejects the key, adjustable shelving, and bright LED lighting on the interior. Specs that Matter Capacity: 10.6 cu. ft. Est. energy use: 218 kWh/yr Size (w,d,h) - 50.75" x 27.5" x 33.5"
With 10.6 cubic feet of storage space, the GE FCM11PHWW chest freezer suits small and midsize families; one family used it to storage a full side of beef and a year's worth of garden produce. Users are thrilled with its whisper-quiet operation, reliable temperature control and "just right" size, and they say it's great at keeping everything frozen during power outages. Favorite features include three lift-out sliding baskets, a power-on light, and recessed handles on either side of the door. Specs that Matter Capacity: 7 cu. ft. Est. energy use: 250 kWh/yr Size (w,d,h) - 37.5" x 21.75" x 33.5"
The GE FCM7SKWW strikes a great balance between space and value, with 7 cubic feet of storage, whisper-quiet operation, and top expert scores for its efficiency. Users like the interior lighting, locking lid, and three sliding baskets that also lift out to help you organize smaller items in the freezer. There's also a defrost drain and a power-on light so you can see the freezer is receiving power, and this model receives very good scores for its performance during power outages. Specs that Matter Capacity: 5 cu. ft. Est. 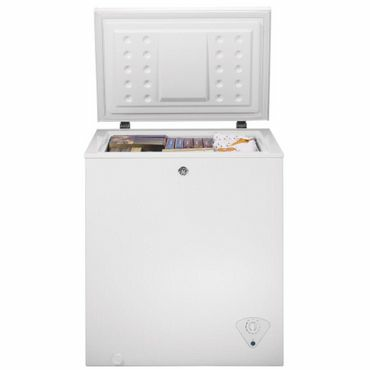 energy use: 218 kWh/yr Size (w,d,h) - 30.3" x 21" x 33.5"
At 5 cubic feet, the GE FCM5SKWW chest freezer is big enough to supplement an in-fridge freezer or stock up on sale goods, but small enough that you can still reach down to the bottom and easily find whatever it is you're looking for. The temperature control, defrost drain and power-on indicator are located front and center, where they're easy to get at; operation is dependable and whisper-quiet, making this a great choice for dorm rooms or small apartments. Specs that Matter Capacity: 1.1 cu. ft. Est. 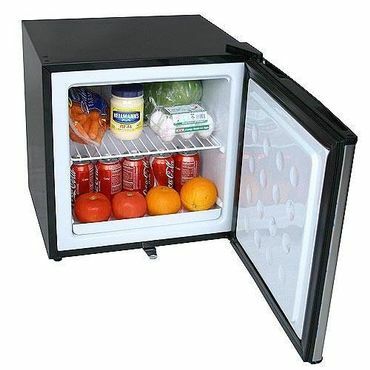 energy use: N/A Size (w,d,h) - 18.5" x 17.75" x 19.25"
If you only need a little extra fridge and freezer space, the 1.1-cubic-foot Edgestar Convertible Refrigerator/Freezer can fill either role. Users love it for specialized, occasional use where a bigger freezer (or fridge) would be overkill: For example, freezing breastmilk, chilling meat by the barbecue, freezing ice for a party, or as an under-desk appliance. This tiny fridge/freezer easily hits and maintains zero degrees, and comes with a built-in lock to keep out nosey roommates or office buddies. Upright freezers open from the front and have interior shelving, much like what you'll find in a kitchen refrigerator. 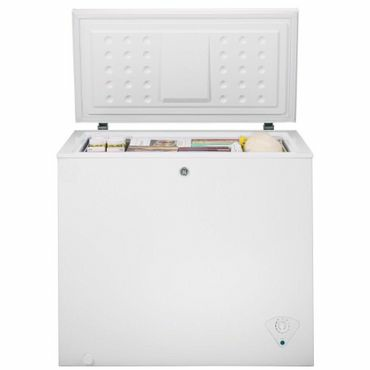 This is the type of freezer to get if you need frequent, quick access to whatever you're storing, because that more traditional shelving and front access makes it easy to organize your frozen goods and see what you have stored away. On the downside, all those shelves and bins also eat up quite a bit of usable space; one professional reviewer says an upright stores as much as 20 percent less than a chest freezer of comparable size. Chest freezers are shorter and wider than uprights, and open from the top -- like a large storage chest -- rather than the front. Most chest freezers have very little internal organization -- often a sliding basket or two is all you get -- so you can pack more into them than an upright freezer. On the downside, it can be harder to burrow in and find exactly what you want, and short users may find it difficult to reach items in the very bottom of the chest. Because of that, chest freezers are best for those who hunt or buy food in bulk and store it for long periods. 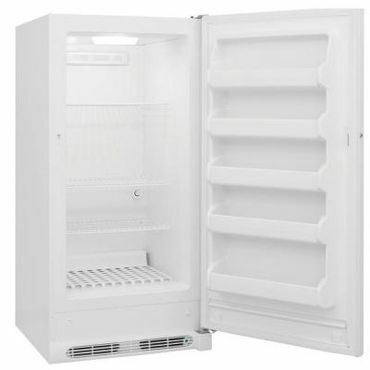 Chest freezers generally cost a little less than upright models. They also run more quietly and tend to be more energy efficient, since cold air flows downward and the door opens from the top. That means less cold air is lost when the door opens. 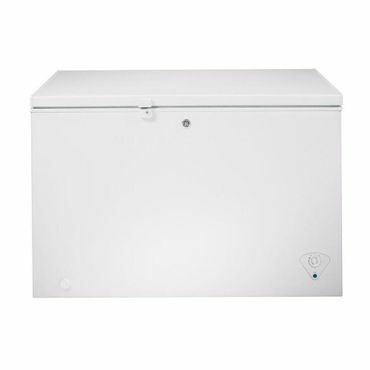 Freezers with 5 cubic feet of space or less are known as compact or mini freezers; they come in both upright and chest versions. They're more affordable than full-size freezers and are a good choice for people with small apartments, a small family or a limited budget. Some owners use them as a supplement to an in-fridge freezer compartment, while others keep a mini freezer for specific items like bulk-purchased meats or ice for parties. Small freezers tend to be less efficient than full-size models, and they don't generally come with as many features. A few mini freezers can also be converted into a mini fridge, offering you even more flexibility from one small appliance. With the economy uncertain and food prices continuing to creep upward, buying a stand-alone freezer to fill with food can save you money in the long run. Having the extra space means you can stock up when your favorite cuts are on sale, or keep extra food on hand in case of emergency. Even if you don't want to freeze a whole side of beef, an extra freezer can be handy for families whose small, in-refrigerator freezer is packed to the max. Whichever sort of freezer you end up purchasing, if you like to preserve fresh foods, having a good vacuum sealer helps cut down on food waste and better preserves the taste and texture of your frozen food. If you're looking for a different type of appliance to keep your food (or wine!) cold, take a look at our separate reports on refrigerators, mini fridges and wine coolers. There are a couple of good, expert sources for freezer reviews, namely Consumer Reports and Reviewed. Both sites perform thorough, hands-on testing and rate freezers both individually and against other tested models. To back up those experts' conclusions we turn to user reviews, not only to evaluate how the freezers perform in real-world use and hold up over time, but also for their insight into the freezers' noise levels -- a concern for those who need to keep their freezer in a common room. Home Depot and Lowe's are especially useful sources for that user feedback, although both retailers tend to repost reviews from the manufacturer's website -- an issue that's particularly common with this sort of appliance. Best Buy and Amazon offer a somewhat smaller selection of freezers, but they're less likely to repost reviews from the manufacturer, and their users are usually eager to tell it like it is. Stick Vac....your time has come! ConsumerSearch editors personally research every product category to recommend the best choices. Expert review sources are heavily weighted, but user reviews, especially those where durability or usability are a factor, are crucial to helping us finalize our top picks.